Brandon has received a Bachelor of Architecture degree from Kansas State University. Since the founding of Dake Wells Architecture, Brandon has focused his efforts on inspiring and environmentally friendly spaces for growing educational clients. His leadership on the Exeter Schools project has received national acclaim including a national Honor Award for Interiors from the AIA. Brandon is licensed in the state of Missouri to practice architecture, a member of the Council of Education Facility Planners International, and is a LEED Accredited Professional. Currently, he is responsible for the business management of the practice. Andrew has received a Bachelor of Architecture from Hammons School of Architecture at Drury University. 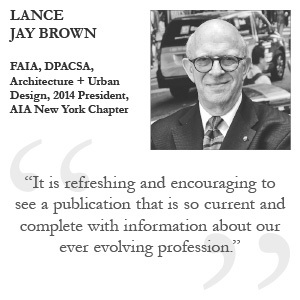 His work for educational, commercial and cultural clients has been widely recognized for design excellence by the American Institute of Architects, The Chicago Athenaeum, The Chronicle for Higher Education, Interior Design Magazine, Contract Magazine and numerous other digital and print media outlets. In addition, he serves as an adjunct professor at the Hammons School of Architecture teaching upper level design studios. In 2004, Andrew co-founded Dake Wells Architecture, where he is responsible for the design leadership of the practice.